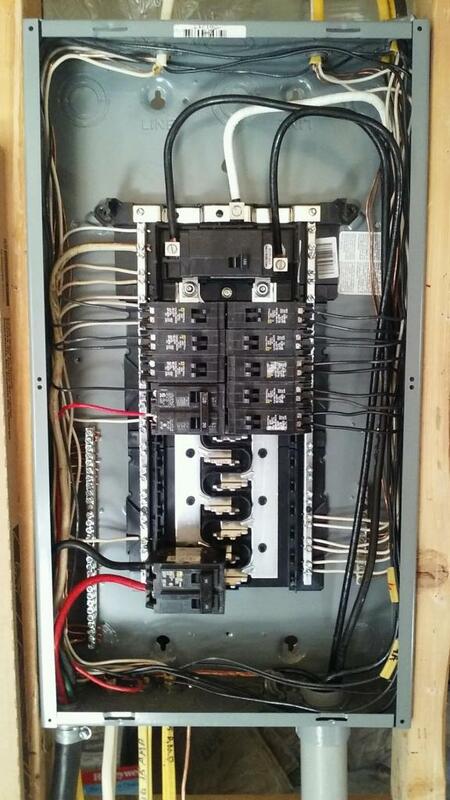 Wiring, panel upgrades, and other electrical services. We specialize in electrical services for commercial and residential customers. Our trusted service technicians are skilled in troubleshooting and solving any electrical challenge. Fully trained and licensed, our technicians can replace, upgrade, or install your electrical equipment or system. Should you repair or replace your electrical system? Electricity is the lifeline of your home or business. An electrical emergency - or a planned electrical installation/upgrade project - can be a big deal. Our technicians work with you to provide an accurate estimate, and offer solutions that make your project as cost-effective as possible. We help you find the right fix for your problem, along with the best equipment and quality installation work. 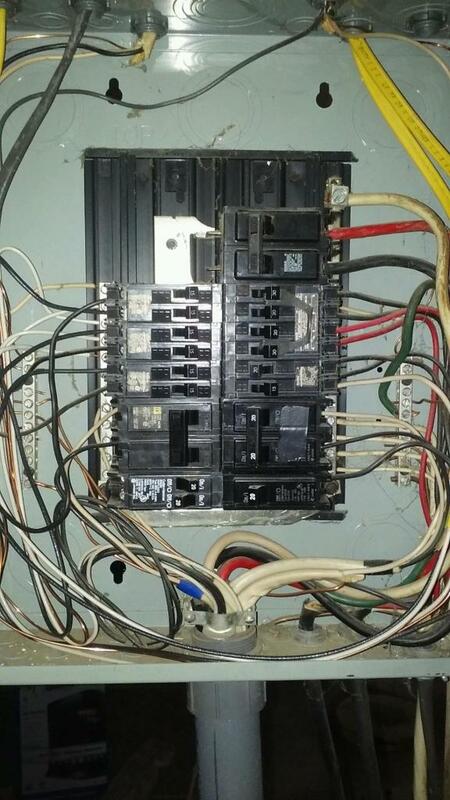 If you have concerns about your current electrical system, or you're looking to add new wiring, fixtures, or equipment, give us a call or send us a message below. We guarantee excellent workmanship and customer service, from the person you speak with when you first call to the technician who completes the work on-time. Our experienced staff knows how important your electrical systems are to your comfort, and we ensure that every job is done right. Call Harder Electrical & Mechanical with questions about your electrical service needs or to request a quote for your repair/replacement/installation below. 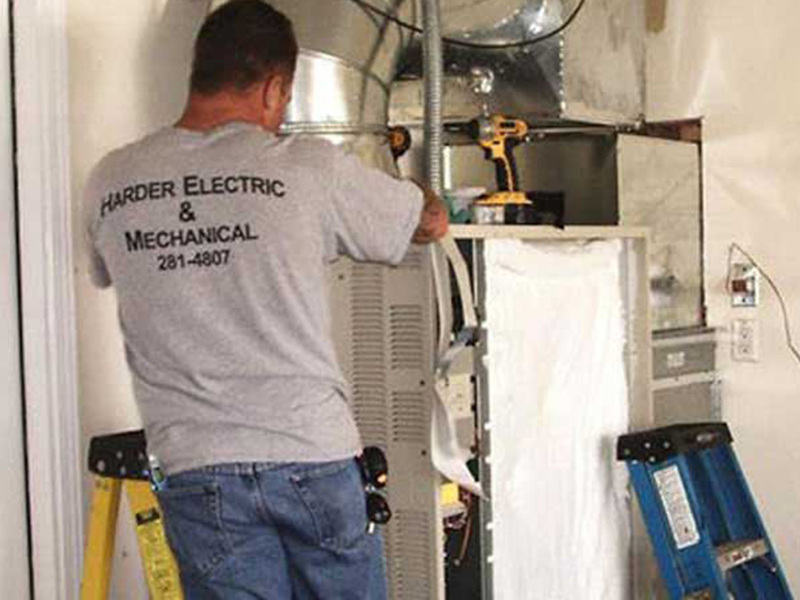 From design to equipment selection, scheduling, installation, clean-up and more, Harder Electrical & Mechanical helps make your next electrical repair, replacement, or installation project easy. Your satisfaction is guaranteed through our 1-year warranty on labor - and we honor all manufacturer's warranties on the equipment we install. Old out of code breaker nearly starts fire. 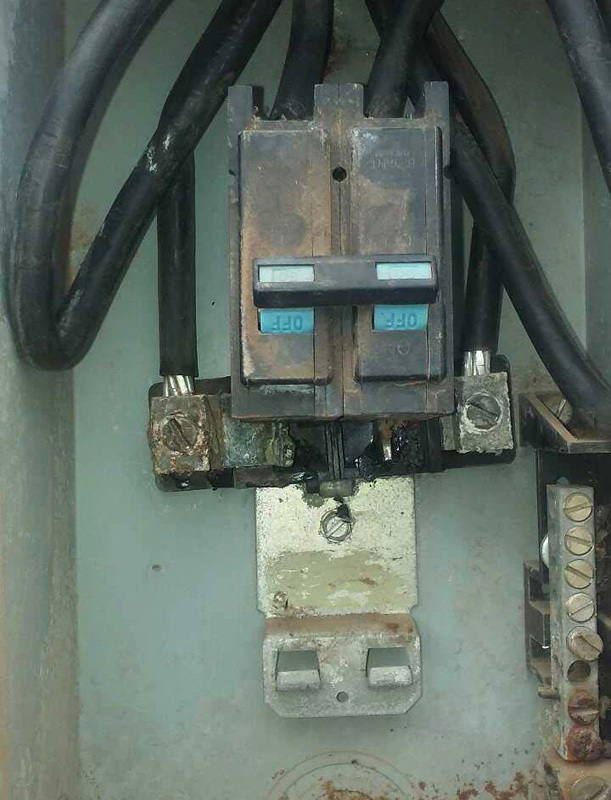 Update your electrical to current code to handle increase in loads.